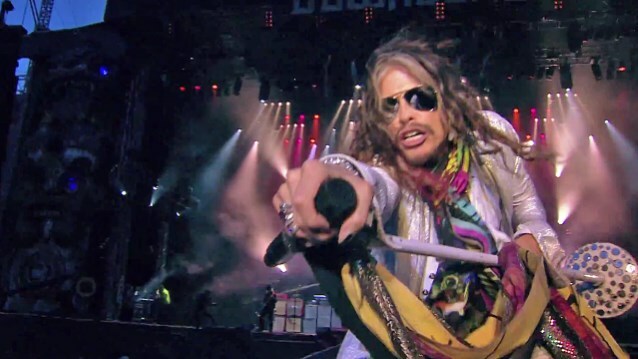 According to WJHL.com, AEROSMITH singer Steven Tyler will perform at the Bristol Motor Speedway's Irwin Tools Night Race on August 22 in Bristol, Tennessee. Tyler will play his first country single, "Love is Your Name", along with some familiar AEROSMITH favorites. "Steven Tyler is not just an American icon, but a worldwide phenomenon," said Jerry Caldwell, general manager of Bristol Motor Speedway. "You put him together with the Night Race, one of the top five motorsports events in the world, and the energy in the grandstands will just be amazing." 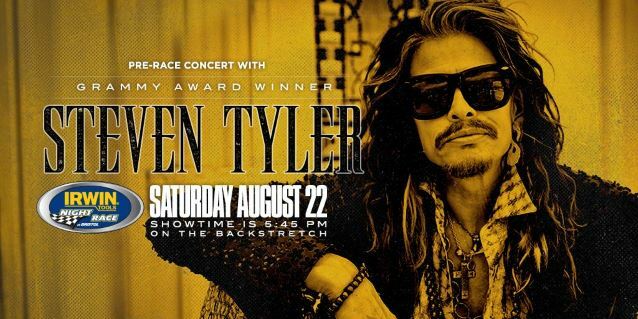 He added: "Steven Tyler's heard some loud applause throughout his career, but the roar that will go up on race night will be a new experience for everyone involved. "Ticket sales are already strong, and having Steven here will help take the Night Race to a whole new level. "We have a big Bristol family that includes lots of rockers, lots of country music fans, and we're all excited to welcome him to the birthplace of country music." The "Love Is Your Name" clip was filmed just outside Nashville and was previewed on ABC's "Good Morning America" before it went live online. The track, written by Lindsey Lee and Eric Paslay, was aided by hourly plays on participating iHeartMedia stations in its first day of release (May 13); Tyler also performed the song that night on the season finale of Fox's "American Idol". Tyler, who recently signed to Dot Records underneath the Big Machine Label Group umbrella (Taylor Swift, Tim McGraw), issued the single across multiple media properties and promoted the track with exclusive interviews. Tyler revealed to USA Today that he won't get a chance to complete his solo album until after AEROSMITH finishes a two-month North American tour in August.